As you walk towards the best new year party in your city to embrace a new start with the new year 2017, here are a few dos and don’ts that you need to keep in mind to have a memorable party experience this new year’s eve. Well, we understand that you might be lost in the spirit of the new year party and might lose track of all that is happening around you, but here are some things that you need to consciously keep a check on while you party with your friends and family. While leaving for the New Year Eve’s Party, make sure that you are carrying your tickets with you. You need to prove at the check-in that you possess the right pass with you. If you have bought e-tickets, carry the fully-charged mobile phone on to which you received an SMS confirmation of the purchase of the tickets. You will cooperate with the organisers to enter the venue for a smooth passage through the check-in. Make sure that you locked your house properly, if the entire family is going for the New Year Party. Leaving the house with that nagging doubt in mind would only irritate you throughout and you would not enjoy the New Year Eve’s Party. As you enter the party, make sure you are comfortably placed. You must keep your mobile phones fully charged and tell all your family members to stay in touch and also keep checking the mobile phones so that they would not miss a call in the din of the loud noise of music. Keep on eye on the kids’ zone when you leave your kids there. There is a scope for children breaking into a scuffle or your kid may spill something over the dress or may try to coolly sneak her/his way out. Mingling with complete strangers is an art. Exchange your business card with anyone with whom you want to stay connected. Sport a smile on your face and greet them. Keep the valet parking receipt secure, preferably in your wallet so that you would not lose out on that. If you have parked the car yourself, make sure the keys are kept safe, else you would have to search for it later. Check if the organiser has set up any lost and found counter at the venue. If yes, take the contact number, If no, take the contact number of a caretaker so that he will be of help to you in case of an emergency. New Year Eve Party is a pleasant occasion. So, enjoy your food, drinks, programs, DJs’ music, and greet everyone warmly. If your organiser has offered an overnight stay package and if you have bought one, make sure you enter your room well on time. If you are getting back home, take the help of a driver or a cab, if you have consumed alcohol. 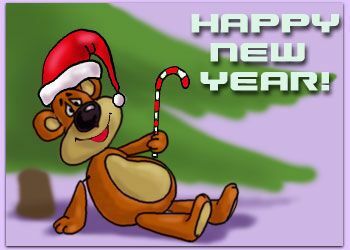 Stay safe and enjoy a Very Happy New Year. While it might seem fun to deride your non-smoking friends and provoke them to drink or smoke, make sure you never overdo it as it gets hard to balance the thin line between cracking a joke and offending others. Losing a relationship is probably the last thing you would want to do in the new year 2017. Sharing personal information with someone you have just met at a party is a big no-no, however reassuring it might seem as that might land you in soup. Be it with your friends, acquaintances or even your own family members, make sure you stick to topics that might not lead to an unpleasant atmosphere. Sensitive topics like religion, regions and politics better not be raised at any point in time during the party and try to brush aside such topics even if someone else raises them to avoid an unpleasant exchange of words. Lose your cool on waiters, people around or your own family member. It surely hurts the other person. Be loud at the New Year Party. That is not the right way to draw the attention of others. Onlookers and bystanders would remember you as the loud-mouthed person for a long time. Pick up any argument with anybody at the New Year Eve’s Party Venue. Try and pleasantly communicate any inconvenience or any problem with the persons concerned. It is common that security men at the parking or entrance have a tendency to irritate the guest. Remember that he is doing his duty, leaving his family and New Year Celebrations. Empathise with him. Keep a check on your drinking levels and never overdo as it might cause harm to you as well as others, so avoid binge drinking and never drive under the influence of alcohol. Throwing up at a New Year Party Venue is not a good idea. Soil the toilets. It is an arduous task to clean them, especially when a large number of people gather at the venue. Have a happy and exciting new year’s eve with the best new year parties listed on meraevents.com. Wish you a Very Happy New Year 2017.